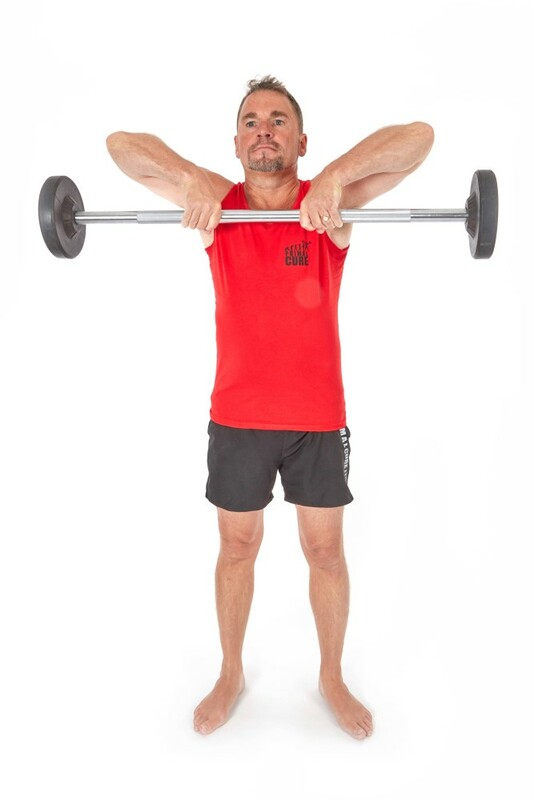 Stand with feet apart and with a wide overhand grip with thumbs facing one another, let the arms hang straight resting the bar against the thighs. 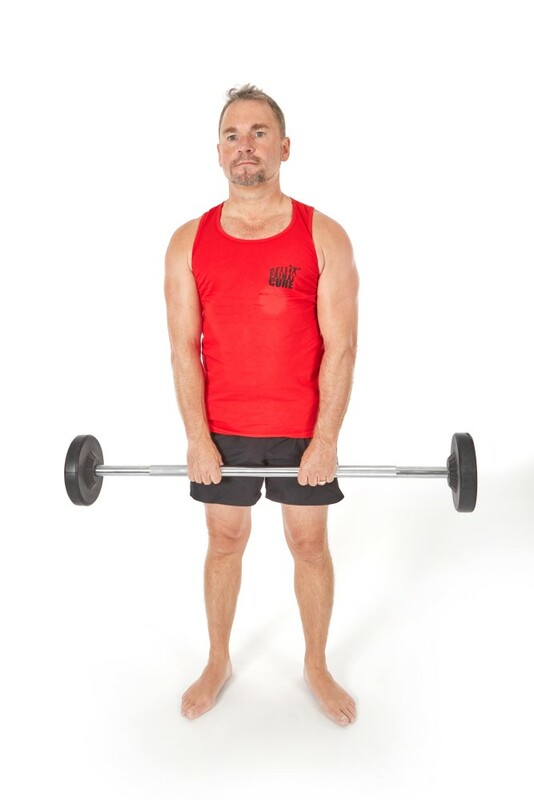 Pull the weight up and along the body, keeping the elbows nice and high and stop the rep just under the chin. Contract the shoulders and back at the top and then lower much slower than the raise.